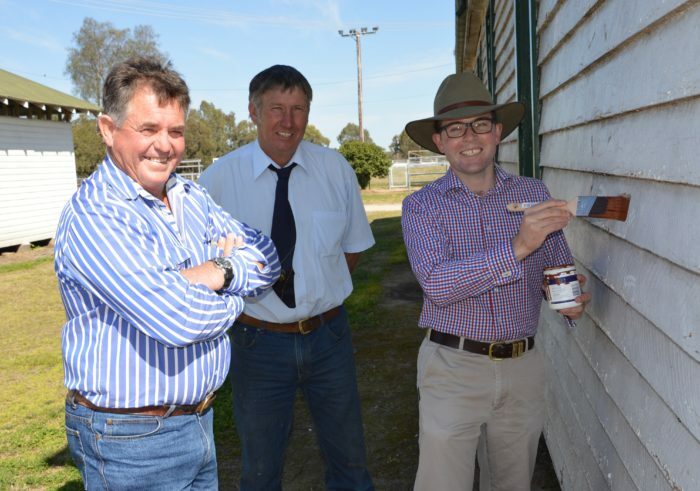 LOCAL MP Adam Marshall is encouraging crown reserve managers across the Northern Tablelands to apply for a share of the $15 million available under the NSW Government’s Public Reserves Management Fund Program (PRMF) to improve and enhance the hundreds of public reserves in the region. Mr Marshall said the PRMF funding, which opened yesterday, was part of an annual program of grants and loans from the government to assist crown reserve managers to develop, maintain and protect important public assets including showgrounds and community halls, local parks and reserves and caravan parks. “Whether it’s taking your children to the annual show, holidays at a favourite caravan park or using the local community hall for a party, we all rely on these public spaces and have many fond memories using them,” Mr Marshall said. Managers have five weeks to apply with applications closing on 8 April. Crown reserve holiday parks, local parks and reserves, state parks and showgrounds on Crown land will be eligible for funding, along with freehold showgrounds and schools of arts. “Demand for funding is highly competitive – last year more than 700 applications were received,” Mr Marshall said. “The government is looking for projects that provide a genuine public benefit to the Crown reserves enjoyed by communities. “Over the last five years, more than $95 million has been allocated under this program to provide financial support for the development, maintenance and protection of Crown reserves.